Get all of your work done without the noisy background sounds of an air compressor by purchasing the Silentaire Super Silent DR-300 Compressor. If you are tired of all of the noise coming from your air compressor, you should consider purchasing a silent one. This virtually noiseless air compressor is completely automatic and will solve of your needs in the shop. It comes with a tank, pressure regulator, and carrying handle so it can be easily moved to a different location. A safety valve allows you to be safe while using the device. The pressure regulator also comes with a moisture trap and pressure gauge built in so you can effectively use the device. There are many varieties to choose from so that it fits all of your needs. There is a range of horsepower available from 1/5th to 1/2. There is also an option between two voltage and hertz depending on your needs. 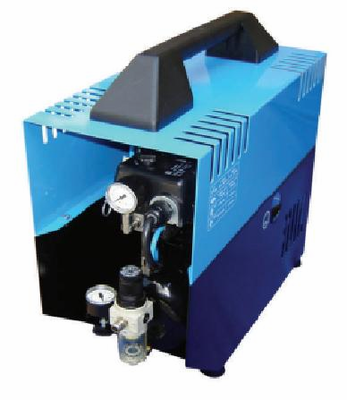 There are many silent air compressors on the market but none quite like this one. This will meet all of your needs!